Canon to replace the G12 in August? Premium compact due for a refresh? Is Canon about to upgrade the G12 after two years? Rumours are suggesting that Canon will be upgrading its premium compact line, almost two years since the G12 made its debut. Many expected the G12 to be replaced around the same time as its premium compact stablemate, the S100 made its debut in September last year. At the beginning of this year however, Canon expanded the G line-up, with the G1X, a larger compact camera which features a large, almost APS-C sized sensor. 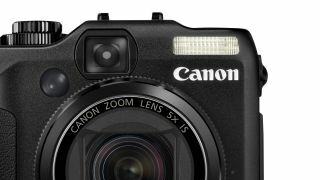 Canon said that it was not intended as a replacement for the G12, and that both cameras would be staying in the line-up. With full manual control and the ability to shoot in raw format, the G series of Canon cameras has proven very popular over the years with enthusiast photographers looking for a back-up to an SLR. Many expected that the G1X was a pre-cursor to a mirrorless camera for the company, but the Canon EOS M, which was finally announced last month features the same sensor as the Canon EOS 650D. It's also fair to say that the premium compact market has gained rapid pace in the two years since the G12 arrived. Recently, the Sony RX100, with its one-inch sensor has been receiving rave reviews, while Panasonic and Samsung both have new compacts with f/1.4 aperture lenses. Also on the scene is Fuji, with the X100, a camera which features a APS-C size sensor, but a fixed focal length 23mm (equivalent to 35mm) lens, and the X10, which features a 2/3 inch sensor with a zoom lens. Few details are known about likely specs of a G12 replacement, but it seems possible Canon could also incorporate a larger sensor and/or a wider aperture lens.